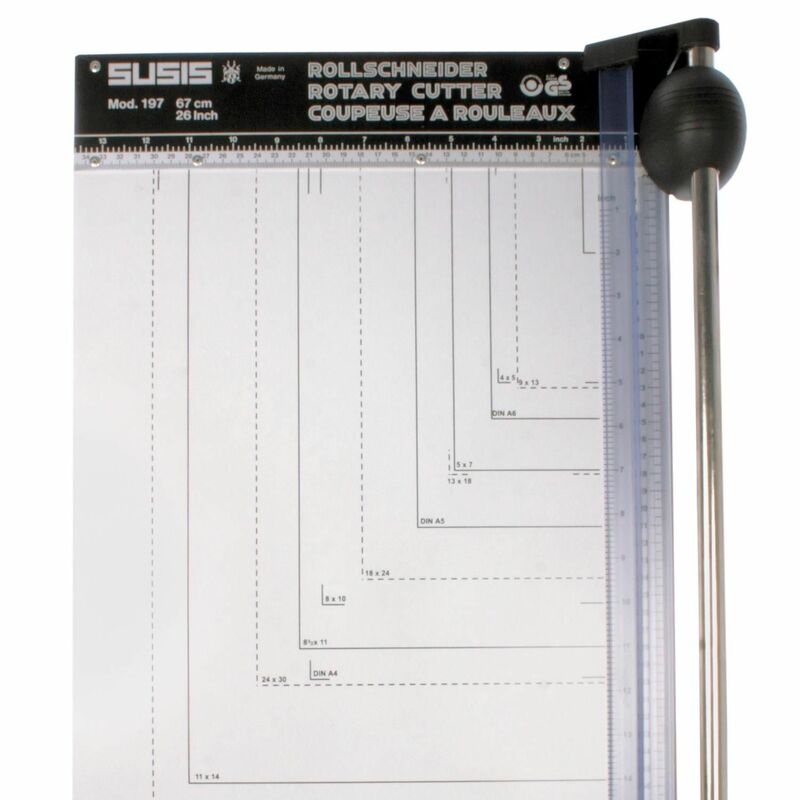 The Susis Profi Roller Cutter is an extremely robust cutter for professional use in photo studios and offices. 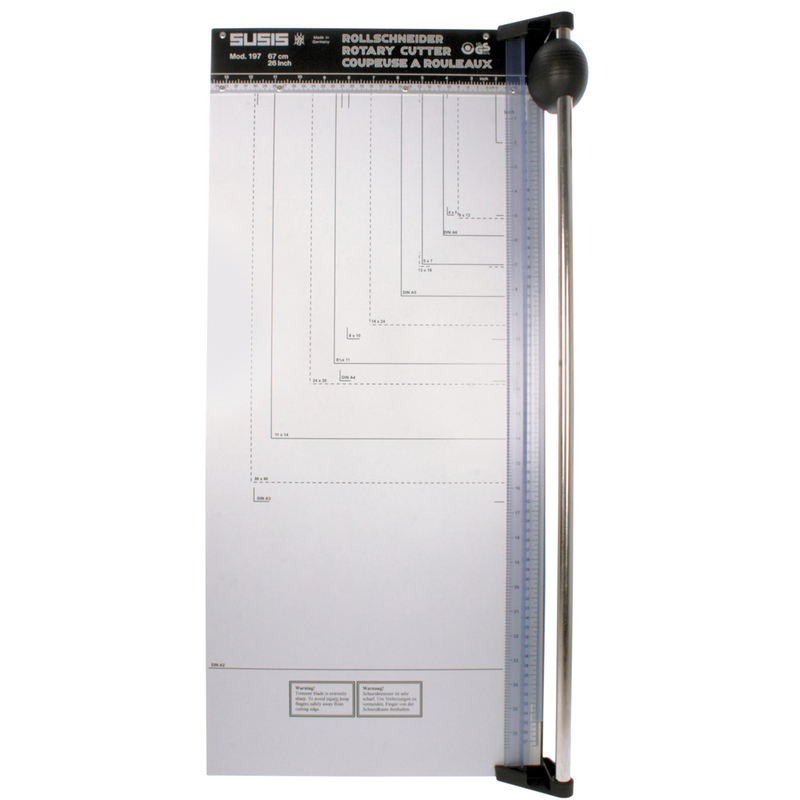 With a wooden cutting plate and self-grinding knife and cutting edge with cm/inch scale. 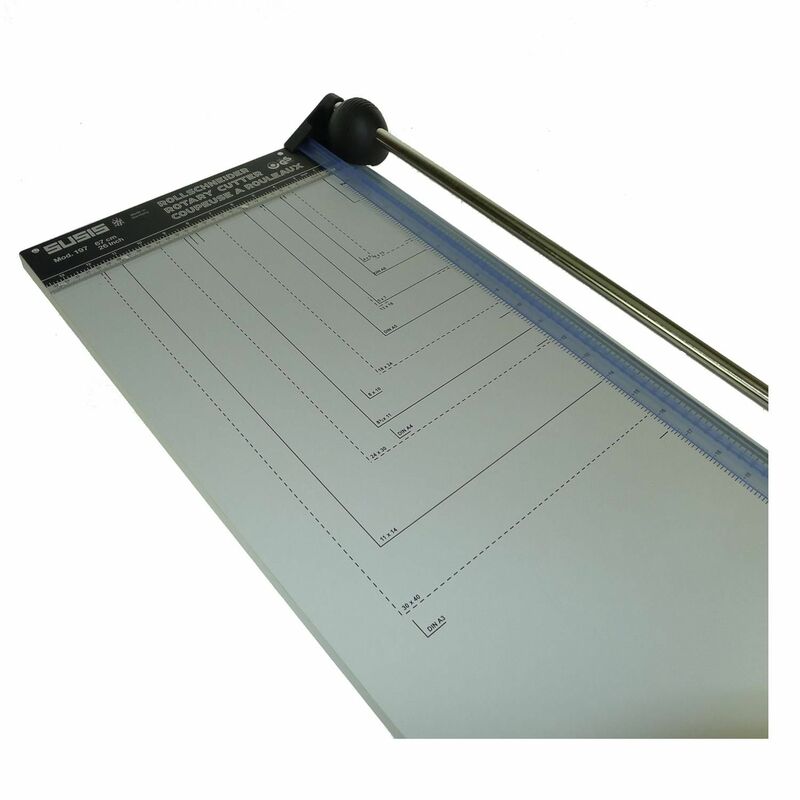 Allows precise cutting of paper, cardboard, film and foils. 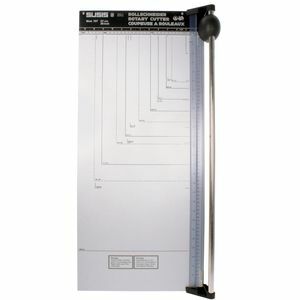 Features markings for paper sizes DIN A6 to A2 & photo formats 9 x 13 to 30 x 40 cm. Cutting max length of 67cm.